You slaved, carefully crafted each phrase. Your precious words and sentences. You just know that they will attract the audience you are targeting. You finally hit the “publish” button. And then, what happens? No one reads them. No likes, no comments, no shares and tweets! You keenly watch the number of page views in your Analytics dashboard but they move at a snail’s pace! It’s enough to send a blogger into a stage of grief and depression and de-motivate him from producing great content consistently. Do you think spending another 10,000 hours perfecting your writing skills will improve it? No way! As a matter of fact, the solution is just a lot easier than what you would expect! Write less and style your text so it’s easy to read or rather scan (more on that later) could be all you need to do to attract and hold attention. According to Jakob Nielsen’s study on “How Users Read on the Web” in 1997, 79 percent of web users scan rather than read. And only 16 percent read word-by-word. Just pause and think how you would use the web. You are searching some information. And if you don’t get in the page you visited, you click on “close” or “back” button, to go look for it elsewhere. The web is more like a “lean forward, concentrate & participate” type of medium. Contrarily, television is a “lean back, relax & let it wash over me” type of medium. What writing tactics can you use to engage your readers so they lean into your content, pay attention to the information you have written out, and interact with it? To write successfully for the web, you need to forget some of w1hat you learned in English composition class. You might be familiar with the writing that starts with an introduction to a particular subject, then gradually builds up on it in the body part only to end with a conclusion. Accept that people just scan your page, rather than reading it in detail. Work and write with this reality in mind, rather than trying to fight it. If you are covering a complex subject, consider breaking it into a number of posts. It’s also a great tactic to make people come back for more. And your reader will easily be able to digest your content as you provide them in controlled portion sizes. 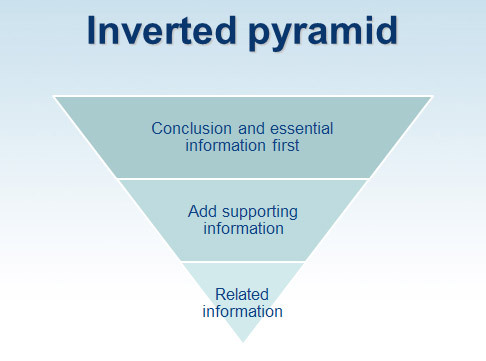 Use the inverted pyramid style to structure your paragraphs. With this style, you start with your conclusion first, support it with the important facts in the sentences that follow and then give a background. It’s used widely by journalist and as readers break away in the middle of reading the content, they have already grasped the most important information. The inverted pyramid style helps scanners move from one point to another in a breeze. As they read along, they get to decide where they want to dive in deep. Next, use these easy design techniques that follow and get your content to be more reader-friendly. A few minutes is all it takes to turn a post from an overwhelming block of black text to something that magnetises the reader’s senses and pulls him/her in. A basic writing technique often repeated around everywhere, is to write your headings and subheadings first. A strong, promising headline is essential to get readers to check you out first. And when you combine them with solid subheads, it keeps readers engaged. 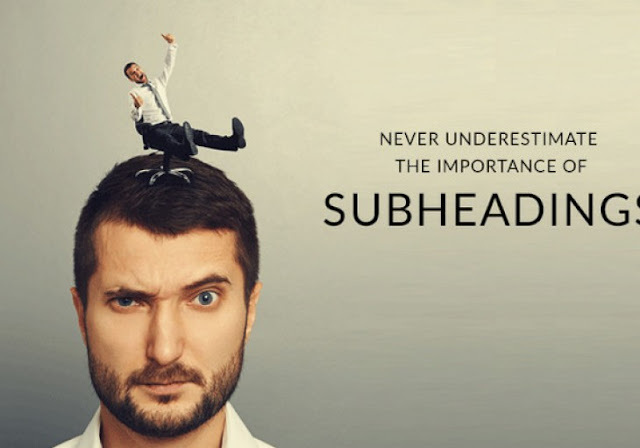 Subheadings are like “mini-headlines” that keep your readers moving throughout the rest of your content. After you have written your subheadings, review them to see if the readers/scanners will understand your article by just reading them. Have they got a compelling storyline? Will they get the gist of what you are saying? This is one of the few easiest ways to render your content more readable. Even complex, tough content could become more reader-friendly with the simple usage of lots of white space. Keep your paragraphs short and feature just one idea per paragraph in three to four sentences, nothing more nothing less. And write some paragraphs with just one sentence only. There’s a reason why they are called “bulleted” lists. They create a compulsion that your readers just can’t resist. They can be easily scanned to infer multiple points. They are like visual breaks for your reader as they look different from the rest of the text. Think that numbered lists are boring and way too plain? Think again. Incredibly, numbers are an effective way to capture attention and keep the reader on your page. Just by numbering the main points, you can make a post much more compelling. Give it a try yourself. 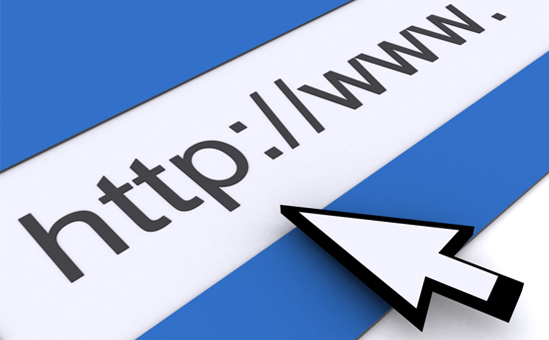 Internal links benefit you by backing to the cornerstone content on your website itself. It keeps people lingering on your site, reading your best material. External links prove that you have done a research on the topic and want to credit the other experts. A good piece of content uses both internal and external links to give insights to your reader besides adding value. As studies have shown, images are processed 60,000 times faster than text. Pair an image with a caption that’s two to three sentences long. It’s enough to get your reader intrigued to dig and dive into the whole of your article. Add emphasis to certain parts of your content by bolding important facts. It helps the reader as he is scanning through the page and grasp the most important information in just a glance. Don’t highlight each and everything as they would simply have the same effect of highlighting nothing. Instead, bring emphasis to the key points so the reader can easily single them out. After you incorporated all pf the above design techniques, read through the whole article again — looking only at that part of the text you have drawn special attention to. Will your readers get the gist of what you are saying? Have you singled out the interesting and relevant words, the words that will be singled out by your scanners in and converted by them into your readers? How about you? What are your favourite tactics for captivating your readers with your content? Let’s talk about it in the comments section.